When most people think about pipes freezing, they think about it happening in a residential home. Nevertheless, the truth is that commercial companies can also be susceptible to frozen pipes, especially if their commercial property doesn’t get used on the weekends. Water can freeze inside of the pipes in their building and burst, which can cause thousands of dollars’ worth of property damage and cause a massive increase in their water bill overnight. It’s why commercial companies should take steps to prevent pipes from freezing and then bursting. 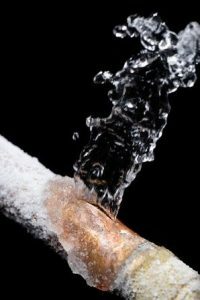 The good news for commercial companies is that it’s not terribly difficult to prevent frozen pipes from becoming problematic. If you have pipes located in colder parts of your business, you should take steps to ensure that those parts are getting access to warm air. Whether that means finding a way to circulate warm air in those areas throughout the use of heating sources or keeping the temperature inside of your commercial property a little higher than normal, you can prevent frozen pipes. You can also keep an eye out for signs of frozen pipes and act accordingly. If you ever suspect you might have frozen pipes, you should shut off the water in your business right away. You should also make it warmer inside of your business while resisting the urge to try and “melt” frozen pipes with a blow dryer, electronic heater, or other source of heat. Finally, you should be careful about turning the water back on once you believe the pipes are no longer frozen. Turning the water back on too early could cause a pipe to burst and leak if you aren’t careful. If you ever find yourself in serious trouble with your industrial piping, R.G. Smith Company will be there to help. We specialize in assisting companies with their industrial pipes. Contact us today to schedule an appointment with one of our highly skilled tradesmen.